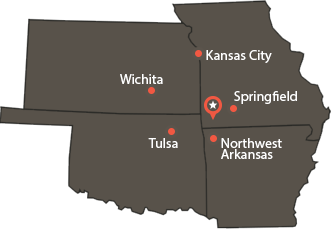 River Ranch Resort in Noel, MO is centrally located in the four state area. This makes us a perfect destination for your group camping adventure! We sit on the beautiful Elk River - a great choice for a summer float trip. In Noel, Missouri, float trips are the perfect way to spend the days relaxing and having fun on the water. We offer canoes, rafts, kayaks and tubes to rent for your floating pleasure! 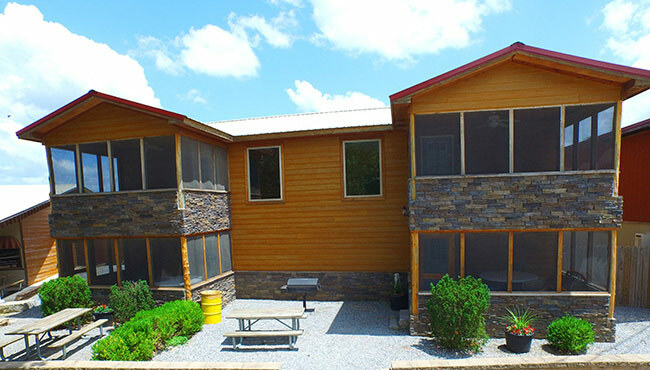 Our campground features 35 air conditioned cabins that sleep from 6 to 24 people, electric and non-electric tent camping sites, and full hook-up RV sites. Elk River camping is available for those desiring a more scenic experience. We have a fully stocked 6000sq foot store including most anything you might forget. Also located in the store is the Hungry Camper Café offering many great food options. We can cater BBQ dinners, or try our very popular pizza and we will deliver it right to your site! We invite you to browse our site and contact us if you have any questions. Our staff will be happy to assist you! 5 stars Always a great place to float out of. Scenic campgrounds and friendly atmosphere. A lot of great memories were made here. The only bad part of the weekend is when you have to leave. I recommend coming early and staying late. We have several different styles of cabins on Elk River to choose from. All of them are air conditioned and have restrooms and showers. Some of the most unique cabins in Missouri even overhang the the river! River Ranch Resort is conveniently located in the four state area. We have been your Elk River vacation destination for over 35 years, and we aren't slowing down anytime soon! Please take a look at our site and when you are ready to make your float trip reservation just click on the Reserve Now links and you will be taken to our on-line reservation system or give us a call! We look forward to seeing you soon!